A fisherman stands in a motorized skiff as he heads out to his fishing boat moored in Bass Harbor early in the morning July 10, 2018. 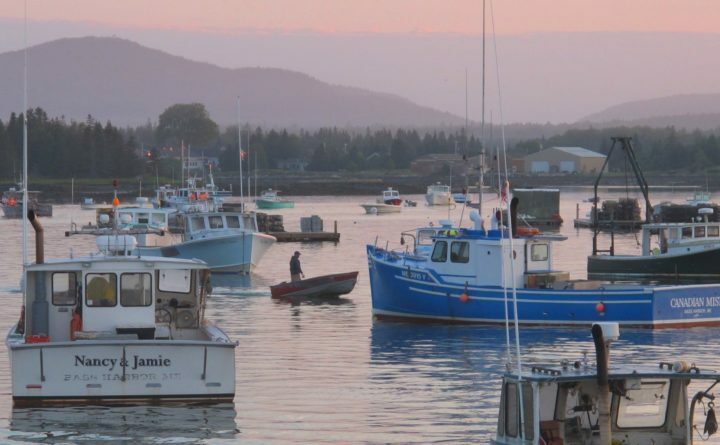 The Internal Revenue Service is waiving the estimated tax penalty for qualifying fishermen and farmers who may have underpaid their taxes, but who file their federal income tax return and pay taxes due by April 15, 2019. The deadline in Maine and Massachusetts is Wednesday, April 17, because Patriot’s Day is a holiday in both states on April 15. The Maine Department of Agriculture, Conservation and Forestry sent out an email notice recently to its newsletter subscribers. The IRS said it is providing the tax relief because certain rule changes may have caused many farmers and fishermen to have difficulty accurately determining their tax liability by the March 1 deadline that usually applies to them. The IRS said that to be eligible for the waiver, qualifying taxpayers must attach Form 2210-F, available on IRS.gov, to their 2018 income tax return. The form can be submitted either electronically or on paper. The taxpayer’s name and identifying number, usually a Social Security number, must be entered at the top of the form. The waiver box, Part I, Box A, should be checked. The rest of the form should be left blank.